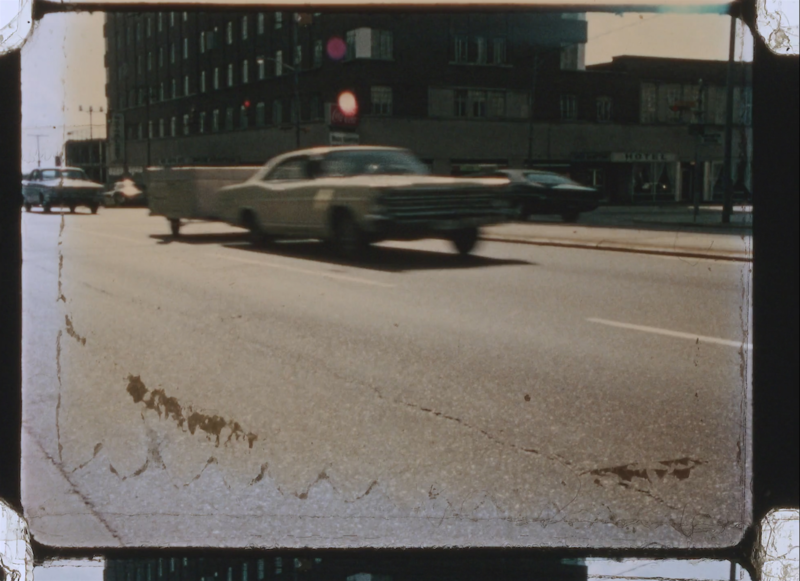 Discovered by an intern at the University of South Carolina Libraries’ Moving Image Research Collections (MIRC), ‘Hip Tags’ is an intriguing orphan film mystery with 1970s Columbia, SC as its main character. Without any provenance and defying description, this hypnotic film was passed from MIRC to Historic Columbia where staff and volunteers began to sift through it in search of clues. 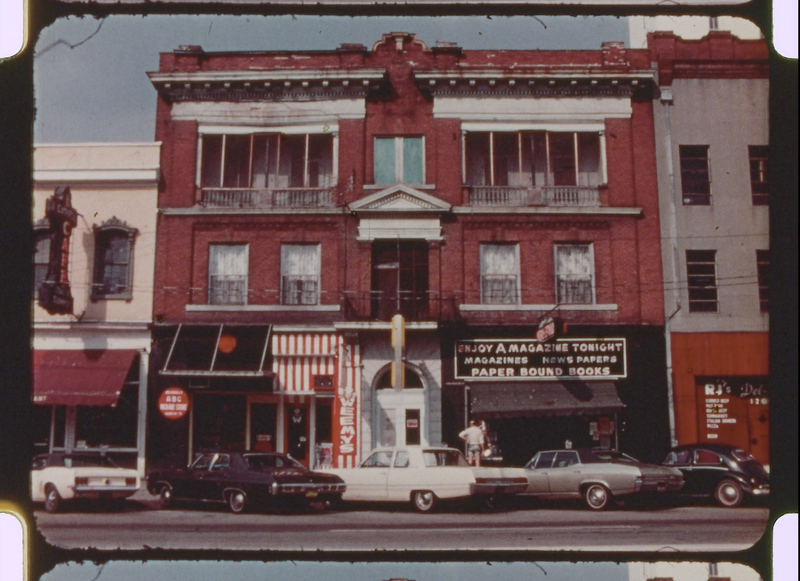 The reel contains unique footage of what appears to be early 1970s Columbia, featuring the Robert Mills House, the Hampton-Preston Mansion, Main Street, the Vista, Ward One and other interesting sites. Simply marked 'Hip Tags,' the film was found among other poorly marked film cans with no date, no copyright, and no producer or editor. The first frames of the film show a sign that says, 'Hip Tags,' but otherwise, it is a 40-minute, non-narrative glimpse into early Columbia with very few clues or logic. With help from volunteer Paul Armstrong, Historic Columbia staff began piecing some of the story together. Our initial assessment is that the film is a student project or experimental film that used several disparate films as source material. Interestingly, Mr. Armstrong was able to identify several frames that showed famed Greek city planner Constantinos Doxiadis. This led to the surprising revelation that Columbia had hired Mr. Doxiadis in the late 1960s to develop a new city plan. Doxiadis, famous for international planning projects in Europe and the Middle East, visited Columbia several times and appears to have developed a promotional film to help explain his vision for downtown Columbia. While we continue to identify more specifics about Hip Tags and its relation to the city planning project, we began thinking about how best to share this interesting slice of Columbia history, and importantly, how to elicit input from the community. What emerged from these initial conversations is a short documentary that follows a long tradition of city symphony films by combining these historic Columbia cityscapes with a soundtrack to give viewers a poetic look at the capital city nearly 50 years ago. The 18-minute film will premiere at the Indie Grits Festival on Saturday, March 30 as part of the Fist and Spoon Fair at the Columbia Music of Art. This free screening during the popular local festival is only the beginning for the project. Harmon is already preparing larger events surrounding the film itself for later in the year: “Indie Grits is the tip of the iceberg; a teaser that will set the stage for a larger exploration of this interesting film sometime later in the year,” Harmon says. Excited now? You can get involved by following the project on Instagram @hiptags_columbiasc to see stills from the film and even help work through some of the mystique. The first cut of 'Hip Tags: A Columbia Symphony' will premiere at the Indie Grits Festival on Saturday, March 30 as part of the Fist and Spoon Fair at the Columbia Music of Art.